Selling online has many factors to be considered for setting things up as we have learned. One of those is choosing a name for your shop, or business. 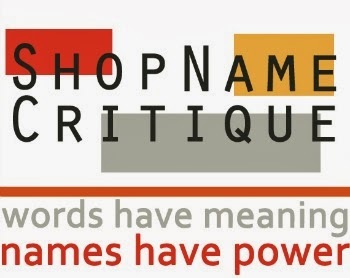 Do we use our names, do we use keywords that pertain to what we sell, do we choose a name that fits more to what our personalities are, our tastes or favorite things, and so on. When you do choose a name you would prefer not to have it to long, and hopefully a name that would be easily remembered too. Then, you will also find that you might find something you like for a name, but it is already being used by another person too. You could try to use that name in another way with a different spelling, numbers, and etc. Keep in mind when doing this that your name might not necessarily be your name alone. It would be in some way associated with the original name you wanted too. When choosing a shop, or business name it would be nice if it would tell your story, and style with it too. So, why did I choose LilacsNDreams? I had chosen other names when trying to choose a name for me. I thought I had some other good choices, but at that time they were already taken by someone else too. When I was choosing my name I would search with the search engines, the platform I was deciding to set shop up at, and etc. Like others I wanted a name that was me, my name, not used by others, and that I could grow with. I like Lilacs, and soft colors. Like others I like to dream as well. I wanted a name that would work for the variety of things I was selling at the time too. I am a simple person, and wanted something that would go with this style of me too. That is kind of how LilacsNDreams came to life, and I have had it since 2004. Another thought as you choose your name that you want. If you sell with other places, have a website, blogs, and etc. Will you use the same name everywhere, or will you choose a name for each place you sell at. Also, if you want more than one shop should you have different names, or what should you do? This idea varies with many people. If you have more than one shop at one particular site, then yes you will need different names to do this. 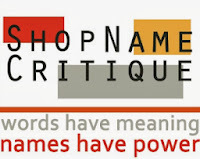 If you want to sell with other places some believe in using the same name, and others feel you should choose another name. My decision was to have the same name, and use it everywhere on the internet I was associated with. When my name is searched in a search engine you will see the different places I am associated with come up with that name. I wanted to use the same name as I felt it was a good way to get my name out there, be seen, get exposure this way, and that when the name was seen it would be associated with me, and no one else. So, over time I have kept the same name as my preference. I have domains directed for the name, and over time the name has become mine. Yes, the business license, or permit also has this name. If someone were to buy this name, take copyrights to it, they would have to spend time and money to structure to what they wanted it for. Anyway, a little something else to think about when setting up shop for selling online, getting a website, setting up your blogs, and etc. Hope this tidbit of thoughts helps you out a little with your thoughts, and decisions if you are in the process of choosing a name. Just giving a little idea of some things to think of when doing so as well. Thanks for visiting with LilacsNDreams, and hope to see ya'll again soon. Take care, and have a Happy Day!